Kites always seem to make their way into early childhood curriculum at this time of year. After all, what embodies spring better than the classic high-flying toy? 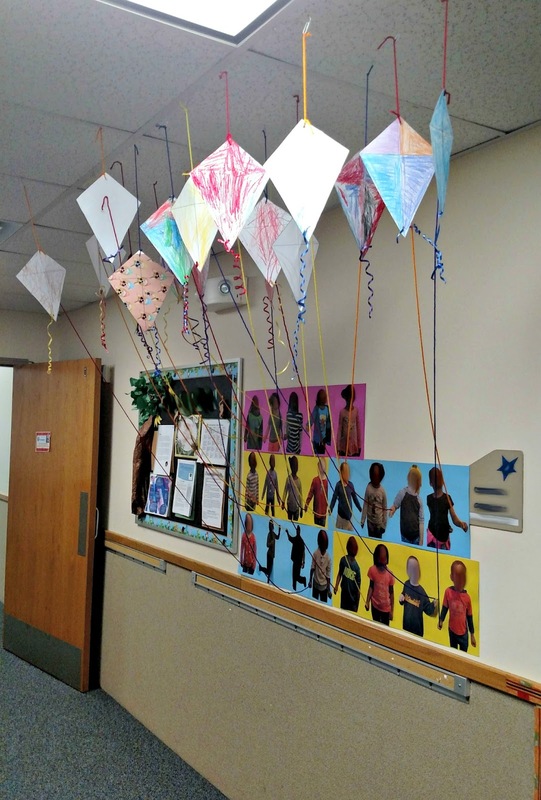 My students had to decorate a paper kite as their monthly family involvement project. We send something home once a month for them to decorate with their families, and then display the finished project at school. I love seeing the creativity that flows through their projects! I mentioned this to my husband, who, as it happens, is also a Pre-K teacher. (Just for a few more months, though, until he finishes his degree in Marriage and Family Therapy. Whoohoo!) He also just had his students decorate kites...but, as usual, he one-upped me in the creativity of his display, and I had to share it here. He took pictures of each of his students looking up, then printed them and cut around their bodies. He glued their pictures onto a plain background, and fed a piece of yarn from their kite to one of their hands in the picture. It looks so cool in his hallway! His students (and their parents) love it. Now I feel like I need to change my display. 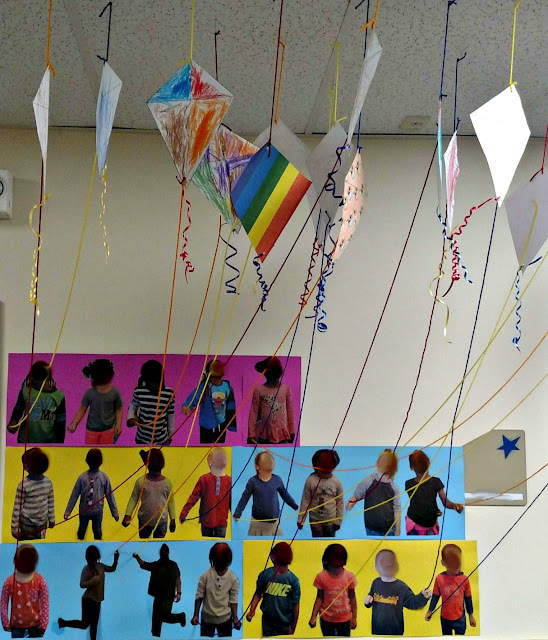 Of course, I have 40 students to his 20, so it would take twice as long, but wouldn't 40 kites lining the hallway look amazing? It would create such a fun and whimsical atmosphere for the kids. I think it would help brighten up those last few weeks of the school year that can be so difficult to push through.